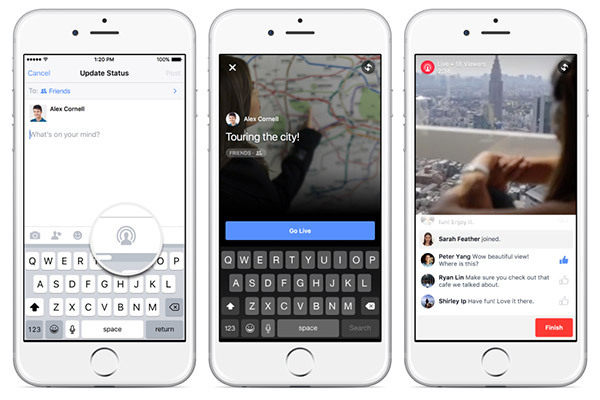 Facebook has begun rolling out its Live Video feature to all iPhone users in the United States. Back in December, following a flurry of updates involving the introduction of all-new features such as privacy options for former couples, a proactive notifications area for mobile users and an ongoing foray into the virtual assistant space, the social media giant expanded the testing net it had cast for Live Video streaming to include select users from the general public while public figures had already been testing the feature out for a few months. The feature is now finally beginning to make its way to all Facebook users, with iPhone users residing in the U.S. first in line to receive the update. Facebook promises iPhone users in other regions will be getting the feature “over the coming weeks” while the ETA for Android users too has only been described as “soon,” which could mean anything from a few weeks to months. If you’re in the U.S., you should be able to update the Facebook app on your iPhone and start streaming live right now. The process is a simple one. Select Update Status from the top of your News Feed, tap the newly added Live Video icon in the bar along the bottom, enter a description for the stream, choose an audience and hit Go Live to start broadcasting live. While you’re recording, you should be able to see a live viewer count in the top-left corner of the screen along with the option to switch between front and rear cameras on the fly in the top-right corner and a live comment stream at the bottom, which also notifies you as friends join the broadcast. 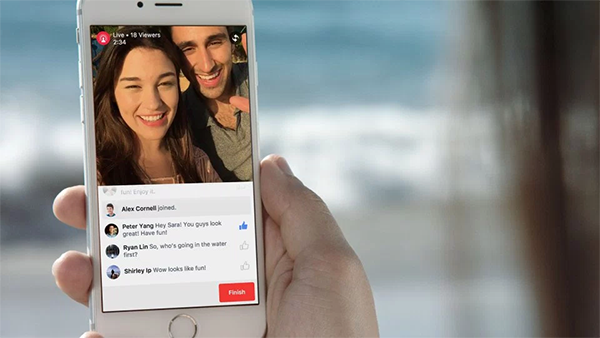 Once you’re done and you hit Finish, the video will automatically be saved to your Facebook Timeline to be viewed by friends who weren’t able to join you for the live stream. Live videos appear in the feed like any other posts, though users who’ve subscribed to you will be notified directly whenever you go live. We’ve been watching verified Facebook pages and public figures share live streams to our feeds every now and then for a while now, but with the feature now rolling out to general public in the U.S., expect live streams to take over your News Feed, at least till that new-feature hype dies down.